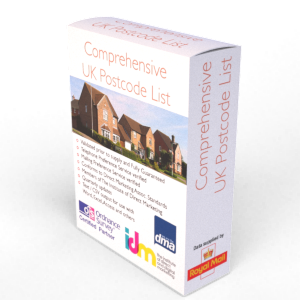 If you're looking for UK to USA SIC Conversion codes then you will find our download very useful as it contains all instances of the Standard Industrial Classification systems (UK, European NACE, USA). The very latest list of Standard Industrial Classification Codes (SIC Codes) that can be used to help you define business activity here in the UK. 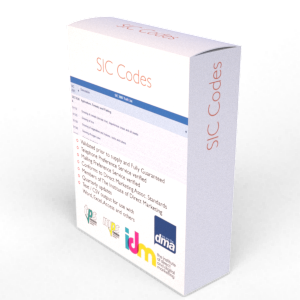 The SIC Codes list contains over 500 different business types. In addition to the UK SIC Codes list we've include translation tables for USA and European SIC codes. The SIC Codes are put together by government to categorise and define the primary activity carried out by a business entity. Currently the national office of statistics uses the definition to calculate business growth and decline by sector, HMSO are responsible for the system. The system is also used to calculate tax liability / rates. Marketers use the system to define the verticals that their customers falls into although there are more comprehensive and user friendly systems available. Standard Industrial Classification Codes (SIC Codes) come in several formats and from several origins. The codes are used to define business activity and to help the government classify what a business in the UK does. Typically the system is used by the National Office of Statistics, Companies House and Customs to record and pigeon hole a business by its trading activity. For others, the system has been adopted to help us define what our customers do so that we can go look for prospect opportunities / companies that resemble our customers by the industry that they are in. The main SIC codes that we in the UK use are those compatible with the European system NACE. The SIC codes from the USA are not compatible with UK business types and therefore we recommend you not try to code your UK business records with USA codes. Some businesses still use the pure UK SIC 1980 codes which do not represent the newer business types that have formed since 1980 (Internet, Web, Computer Shops, Plasma etc.). There is also no direct correlation between 1980 and the current system. If a translation table exists then it is because someone has taken the time to go through each code and to manually link one of the 5,000 USA SIC codes to one of the 500 UK / European Codes (not exactly a one to one relationship and therefore full of potential problems. That said, I believe our translation table was provided by HMSO or Office of National Statistics by someone attempting to do just that painstaking task - we therefore offer this translation table freely but it will be well worth you contacting HMSO to obtain a more up to date one if it exists. If you're looking for a more detailed business classification system then you may also want to consider the other fields available through this site; such as the 2,700 business types found here.. The data will be delivered via secure link as soon as you've agreed to our copyright notice.